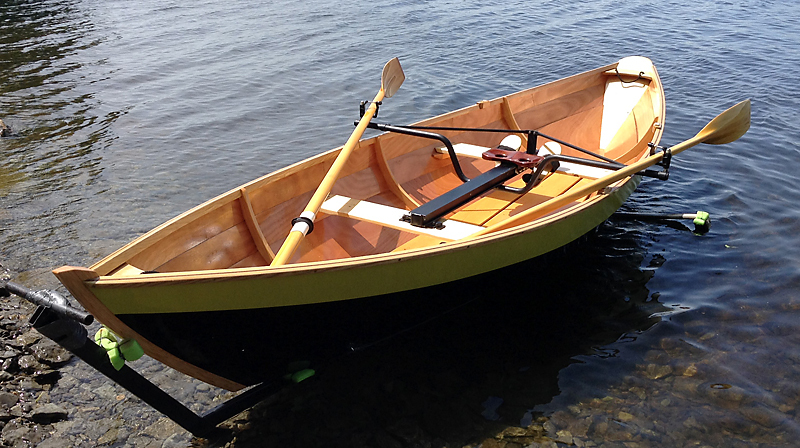 Chris Ireland built this 16′ Amberjack Dory from Iain Oughtred’s plans. The construction is glued lapstrake using Okoume marine plywood and West System epoxy. 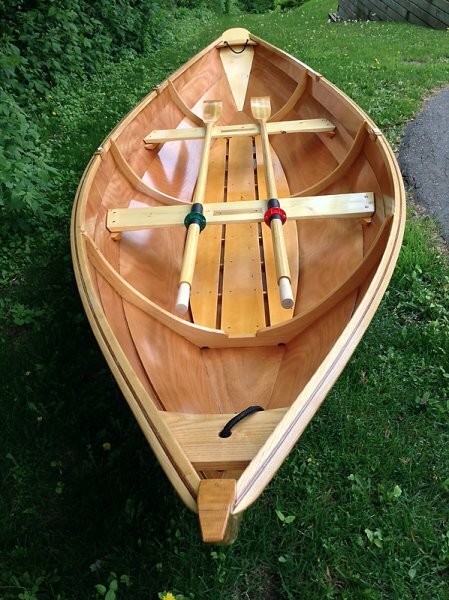 Stem and frames were laminated Douglas fir, ash breasthooks and gunwales, and white pine transom, thwarts and floorboards. 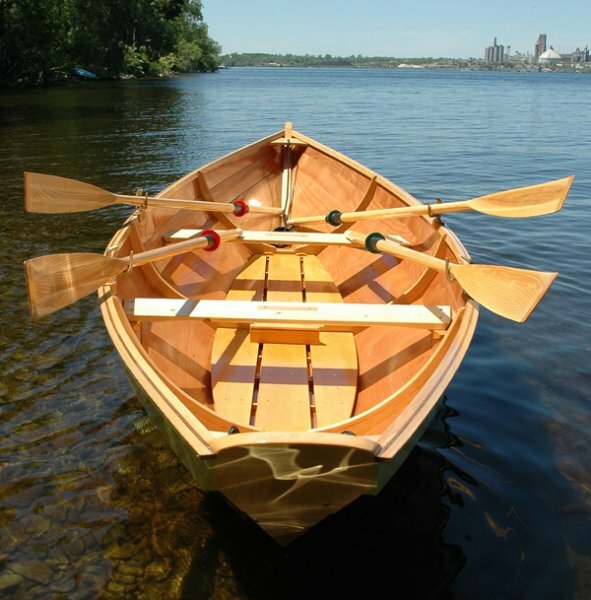 The boat is equipped for fixed seat rowing (single or double) and sliding seat, using a drop-in rowing unit. Two sets of ash spoon blade oars were also part of the building project. ADORYBLE can be seen on the waters of beautiful Bay of Quinte at the eastern end of Lake Ontario.